Lucifer is a 60 minute scripted supernatural television series, which kicked off on January 25, 2016, on Netflix and is broadcast every at . The show is currently in its 4th season. Netflix has officially confirmed the renewal of Lucifer for Season 5. The exact release date is yet to be announced so far. Sign up to track it down. Based upon the characters created by Neil Gaiman, Sam Kieth and Mike Dringenberg for DC Entertainment's Vertigo imprint, Lucifer is the story of the original fallen angel. Bored and unhappy as the Lord of Hell, Lucifer Morningstar has abandoned his throne and retired to L.A., where he owns Lux, an upscale nightclub. 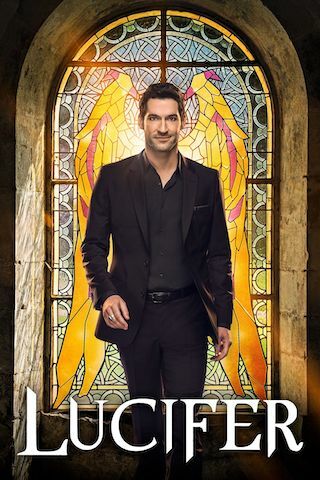 Charming, charismatic and devilishly handsome, Lucifer is enjoying his retirement, indulging in a few of his favorite things--wine, women and song--when a beautiful pop star is brutally murdered outside of Lux. For the first time in roughly 10 billion years, he feels something awaken deep within him as a result of this murder. Compassion? Sympathy? The very thought disturbs him--as well as his best friend and confidante, Mazkeen aka Maze, a fierce demon in the form of a beautiful young woman.